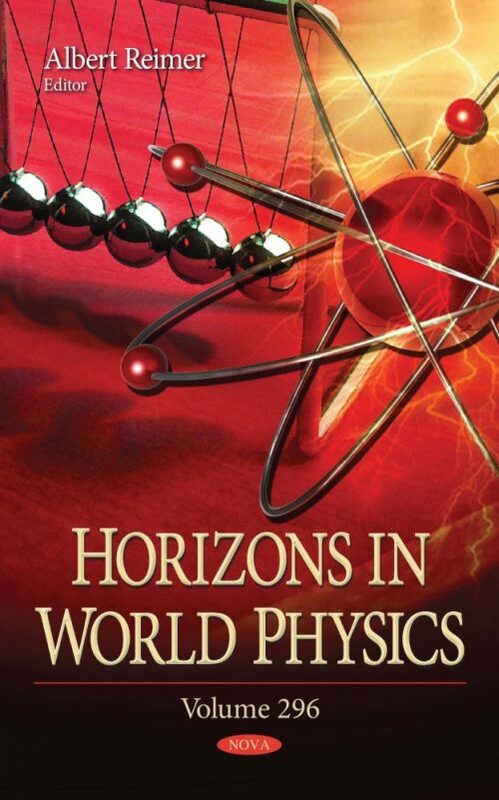 In the opening study included in Horizons in World Physics. Volume 296, the authors argue that that the energy of man-made electromagnetic fields and corresponding electromagnetic radiation with frequencies starting from 0 Hz and approaching the low limit of infrared is not quantized, in contrast to molecular/atomic/nuclear electromagnetic fields/electromagnetic radiation. This study may initiate a better understanding of both the nature of man-made electromagnetic fields and their interaction with matter, especially living matter. Next, using the method of accumulation of phase shifts in the rotating frame, the attenuation function S(t) of the NMR signal from an ensemble of spin-bearing particles in a magnetic-field gradient is expressed through the particle mean square displacement in a form applicable for any kind of stationary stochastic dynamics of spins and for any times. Recent advances in the development of ultrashort-pulse lasers have boosted numerous uses across a wide range of applications related to low and high-energy phenomena, from time-resolved measurements to laser-driven particle accelerators. One promising new application of such lasers is the generation of directional, localized electromagnetic pulses via a two-stage process. This book shows how such formation can be effectively described by relatively simple, easy-to-analyze quadrature or even fully solutions using the STTD (spacetime triangle diagram) technique. Continuing, the authors derive some first order differential equations which model the classical and the relativistic thin layer approximations. The circumstellar medium is assumed to follow a density profile which can be exponential, Gaussian, Plummer-like, self-gravitating, or power law. The first order differential equations are solved either analytically, numerically, by a series expansion, by recursion, or by approximation. In conclusion, the authors calculate the mass spectrum of charmonium for 1P, …, 4P states of 0++ , as well as for 1S, …, 5S states of 0−+, and 1S, …, 4D states of 1−− in the framework of a QCD motivated Bethe-Salpeter Equation. In this 4 × 4 BSE framework, the coupled Salpeter equations are first shown to decouple for the confining part of interaction, under heavy-quark approximation, and analytically solved, and later the one-gluon-exchange interaction is perturbatively incorporated leading to mass spectral equations for various quarkonia.